This is the HS-5245MG Metal-Geared, Ball Bearing, Hi-Torque Digital Servo from Hitec. The HS-5245MG is latest addition to Hitec's ever evolving digital servo line. With a custom designed programmable digital circuit and our unique Alumite gear train technology the the HS-5245MG is ideal for applications that call for a small lightweight, high speed, high torque servo. 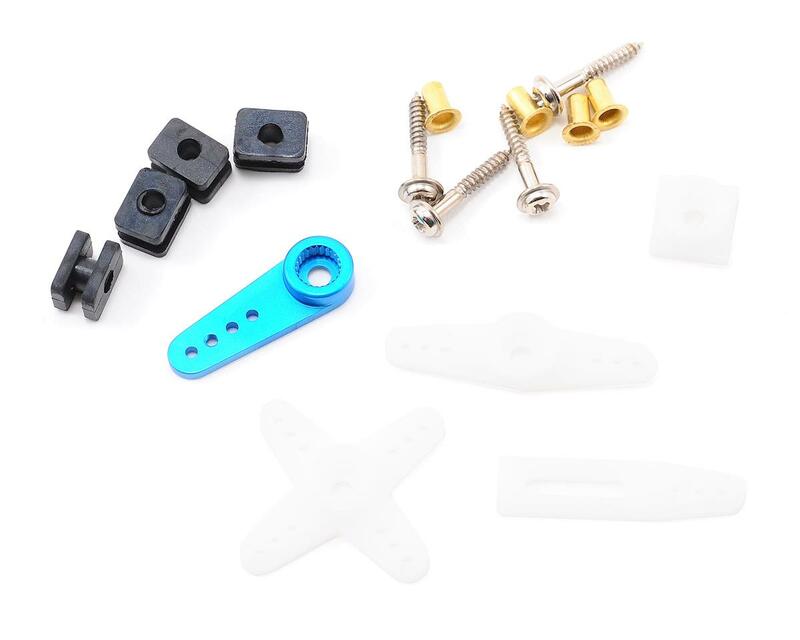 By utilizing the standard size Hitec spline, any horn or arm that fits on a standard Hitec servo will fit on the HS-5245MG. this servo is not the problen in the .5 crt mini truggy. it is something to do with the setup on the truggy. you can put as many of these servos as you want on your mini truggy it will fry them all. i was told to contact hi-tec before or while you are installing this servo on the .5 truggy. 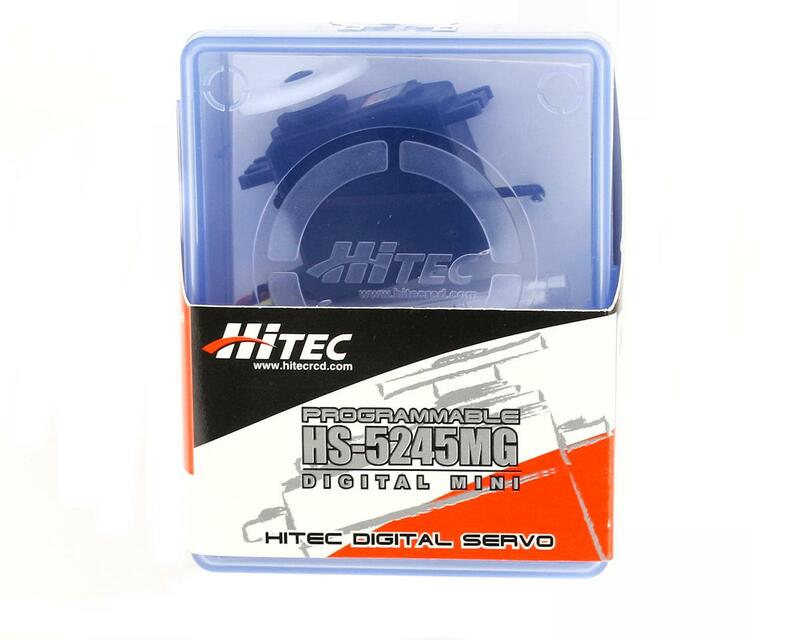 hi tec i believe are the best servos out there. this is the only problem i have heard of with hi tec servos. Have been running these in my oval cars since 2002 and have never failed. Thousands of laps and just as tight and responsive as new. Remember these are not high voltage so if you have a problem with them "blowing up" you need to check your voltage coming from your rx pack or bec in your Esc. Do not use with 7.4v LIPO rx packs, only 6.6v Life packs. Installed one in my losi mini 8 works great steers straight with good response. I tried this servo cause it came with a truck I bought. Brand new package, seal and all. I installed, it worked on the throttle long enough to get it centered, and started smoking. 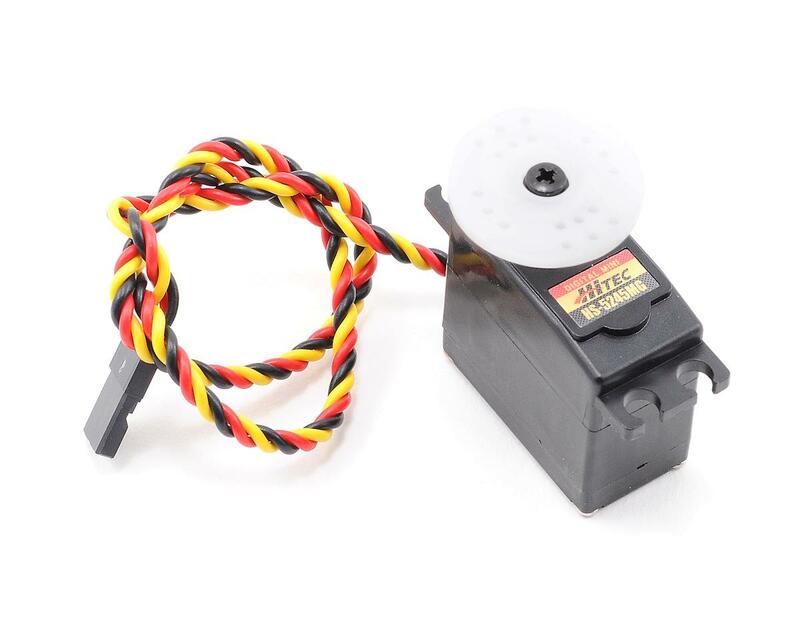 I run numerous Hitec servos because they are inexpensive and perform. I have never had a failure like this, even checked to make sure none of the wires were pinched! While this servo may be a bad model, I will not stop using this brand because of one bad experience. I agree with Dave, my friend had this servo in his CRT.5 mini truggy as the throttle/brake servo and didn't even have a litre of fuel through the motor and fried the servo, look elsewhere. Never will try hitec again after his experience. Do your self a big favor and stay away from this servo if you plan on putting it in your crt.5 I bought two for throttle and steering and on my first night of racing the very first time the thing has been on the ground. Half way through the first qualifier the throttle servo gets fried and sticks while the engine's wide open sending it across the track and jumps two hay bales then fly's into a alley where my freshly broken in engine screams at the highest rpms. So please for your sake spend the extra dough and get the jr or futaba you'll be thankful you did. Why are these $59.99? Everywhere else they are $49.99.